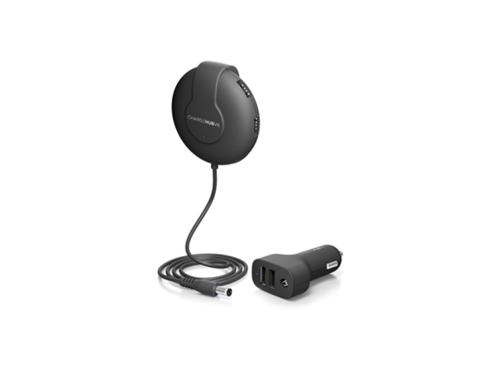 The ChargeHub V6 Shareable Car Charger combines a 2-port charger and a 4-port hub, this setup offers a whopping 6 USB ports to keep your devices energized on the road. ChargeHub V6 Shareable Car Charger: 2-Pack – This 6-Port Charger Uses SmartSpeed® Tech to Rapidly Energize Your Devices on the Road – Just $51.99! There’s no need to fight over the charging port when your ride’s rocking the ChargeHub V6 Shareable Car Charger. Combining a 2-port charger and a 4-port hub, this setup offers a whopping 6 USB ports to keep your devices energized on the road. 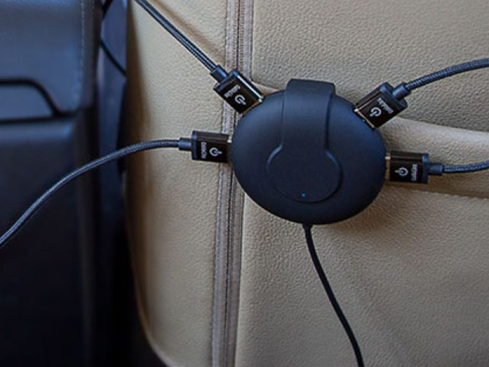 The shareable hub connects to the charger via a 5-foot extension cable and sports a clip that you can easily attach behind your seat. SmartSpeed® Technology lets you power up your devices even faster, and you can easily detach the hub from the charger if you need only 2 of the 6 ports.